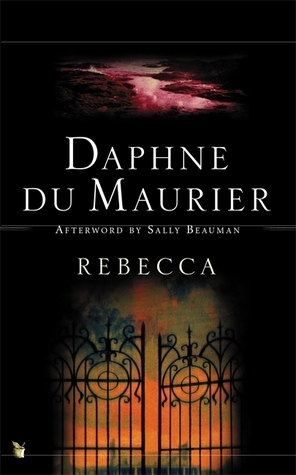 With those words the haunting tale of Rebecca by Daphne du Maurier begins. Reading this book again, after so many years, reconfirmed why Daphne du Maurier is one of my favourite ‘classic’ authors. Written in the 1930s, it is a story that will still enthrall a reader of today. Rebecca is told from the perspective of a young woman whose name we never learn. We meet her in Monte Carlo where she is employed as the ‘companion’ (slave) of a rich older lady. One day she meets Maxim de Winter – a rich, much older Englishman who is master to a great English pile called Manderley. Maxim is in Monte Carlo to recover from the tragic drowning death of his wife, Rebecca. After a whirlwind romance, conducted when the heroine’s boss is laid up ill in bed, Maxim asks her to become the next Mrs de Winter. Young and in love, she agrees and they return to England. There she finds Manderley, the beautiful, famed estate by the sea. A place frozen in time. The house is still furnished according to Rebecca’s tastes. The housekeeper, Mrs Danvers, runs the house and the servants as though Rebecca is still alive. Though Maxim never speaks of Rebecca, a change has come over him. It is though he can’t forget his first wife and is mourning her still. The unnamed heroine is plain, shy and unable to stand up for herself. The servants walk all over her and she is terrified of social engagements. Her only friend seems to be the dog, Jasper. Everyone talks of Rebecca – her beauty; her style and wit; how she was the perfect wife and hostess. It isn’t long until the heroine has a fully fledged obsession with Rebecca. Daphne du Maurier slowly, but surely, tightens the strings of the story and you are left waiting for the heroine to snap. Daphne du Maurier’s control over the tension is masterful. The heroine finds a used tissue in an old coat of Rebecca’s. Such a small thing gives the new Mrs de Winter a push closer to the edge. We are privy to her inner turmoil but her husband remains oblivious to his young wife’s dark thoughts as she constantly compares herself to Rebecca and sees nothing but her own inadequacy. But then MAJOR PLOT TWIST and the story goes off in a direction that a first time reader won’t expect, and a returning reader will appreciate as the workings of a great writer. Now a different kind of pace builds and you find yourself wondering how Daphne du Maurier manipulated you into the corner you’re in. It’s no wonder that Hitchcock made this into a film. It’s also no wonder that this book, written in the 1930s, was a hit in its day and has now entered the realm of being a modern-day classic. This is one of my favourite books of all time. After reading your thoughts I really want to re-read it right now but I do still have so much more du Maurier’s work to discover first. You should read Frenchman’s Creek and Jamaica Inn. Those are great reads. Thank you! Both are on my classics club list plus My Cousin Rachel. I haven’t read My Cousin Rachel. Why don’t you read it first and let me know how you go? That would be a great idea, but will probably read them as I manage to get copies of them in reality. I agree completely that for something written in the 1930s, it is still very contemporary. So many have tried to follow the formula to varying degrees of success and failure. That opening line, so brilliant, so “pull you in right now”… Just a masterpiece! Thanks for this review; Rebecca is one of the books on my list of books I have to read and now I’m really looking forward to it. I’ll have to get trawling through the charity shops to find it! Good luck finding it. Hope you enjoy it! I just finished Rebecca and all I can say is wow! Not at all what I expected and I loved it!! Nice reminder of a favorite classic – thanks. I’ve often thought about going to the du Maurier festival in May in Cornwall but haven’t made it yet. That festival sounds like fun. You should do it next year. Thanks for dropping by.